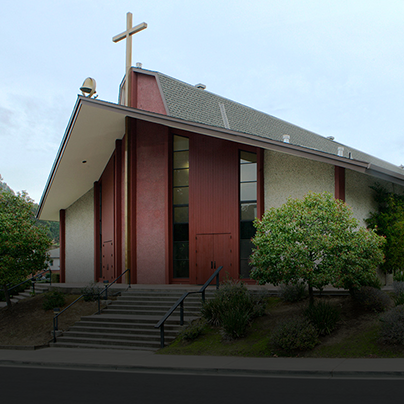 St. Matthias Church is a Catholic Christian community nestled in the Emerald Hills area of Redwood City. In 2014, we began an exciting pastoral planning process which resulted in the development of a long range plan for the parish community called, Shaping Our Future. This plan is focused on seven areas of parish life including prayer and worship, catechesis, family and pastoral care, evangelization, stewardship, community building and justice and charity. The plan to intended to provide a vision and mission for the parish community for many years to come. Our parish community includes about one thousand registered families, we feature an intergenerational and family-based faith formation program which includes all ages and all walks of life in our monthly GIFT gatherings. We also have a full-day, year round, Catholic Preschool whose enrollment is about 90 children. 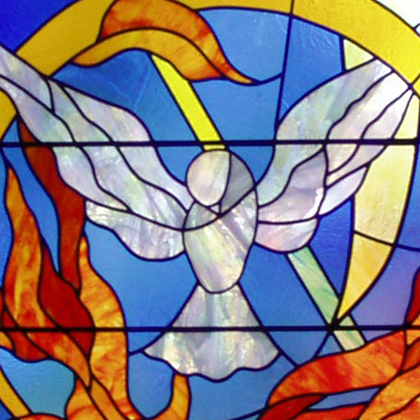 We are included in Deanery 11 – Southern San Mateo County and are part of the Archdiocese of San Francisco. 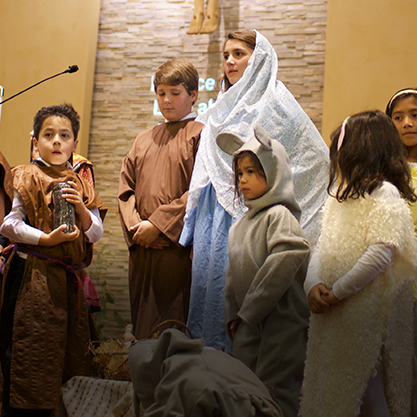 St. Matthias is a Roman Catholic Community striving to respond to the call of Jesus through worship and sacraments, faith formation, service & social opportunities. Under the guidance of the pastor and pastoral staff, we seek to strengthen current lay leadership and develop and empower new leadership. Although a small parish, we commit ourselves and parish programs to hospitality, generosity to those in need, and outreach to all those seeking a faith community. As Catholics, we recognize the many challenges facing the Church but we trust in the Holy Spirit to guide us into the future. "I'm a new Catholic, wife, and mother of 3 elementary age children. We've felt welcomed by this strong, thoughtful, caring community at St Matthias." – The Granucci family (John, Laura, Anna and Julia).